The Lee University Chorale will present its fall concert on Tuesday at 7:30 p.m. in the Lee Chapel. The concert, a performance of sacred choral music in celebration of Lee’s Centennial year, will include Psalms, hymns, and spirituals by Leonard Bernstein, Estonian composer Cyrillus Kreek and American composer Theodore Morrison. A highlight of the program is “The Flame Divine,” an original song by Lee music professor John Wykoff, commissioned in commemoration of the Centennial. 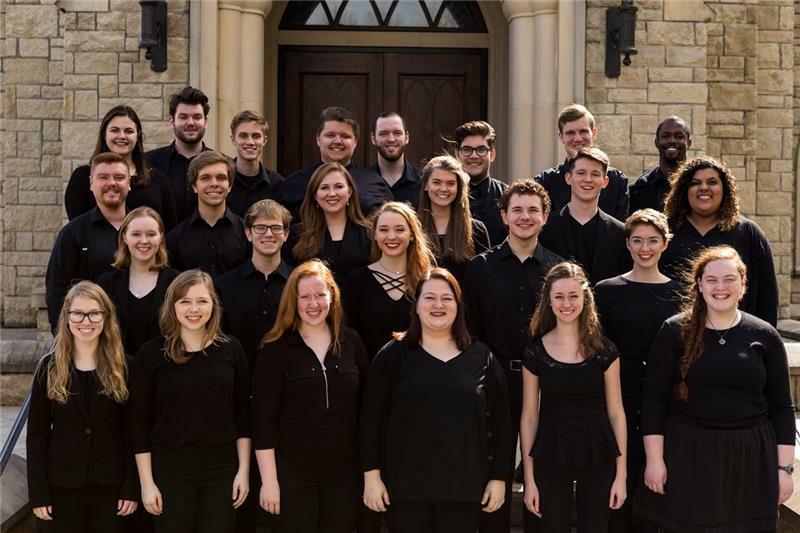 “Chorale is honored to be a part of the Centennial celebration of the university and has put together a wonderful program that looks back at music a century ago, coupled with some remarkable modern pieces, including the newly commissioned work,” said Chorale director Dr. William R. Green. Dr. Green joined the faculty of Lee University in 2004 and now serves as professor of choral music and dean of the School of Music. He is active nationally and internationally as a guest conductor, adjudicator and clinician, and has presented workshops throughout the United States. Chorale is an ensemble of highly motivated vocalists who are selected by audition. An emphasis is placed on the diversity and breadth of traditional choral literature. Chorale has been featured in performances with the Chattanooga Symphony, at Carnegie Hall, and throughout Europe. The concert is a free, non-ticketed event, and it is open to the public. The Lee Chapel is located on the corner of Ocoee and 11th Streets. For more information about the concert and other School of Music events, call 614-8240 or visit http://leeuniversity.edu/academics/music/.